We’ve each come up with our favourite session of the weekend (no one picked the same as anyone else) and we’re going to tell you why we thought they were the most awesome – excuse the bizarre and disjointed nature, we all have pretty different writing styles! The whole weekend was fantastic; I think I spent more time in Track B than anywhere else. My favourite session was actually the very first of the Saturday morning, which was a talk by Ilona and Adrian from Moove titled ‘Building an Innovative WordPress Agency: Moove’s 5 Year Journey’. It was really motivating to see how they began and how they have grown. There are a number of fantastic WordPress agencies in the UK who we aspire to be like, but perhaps none more than Moove as we are also a design-led agency looking to do truly innovative things in WordPress, although in our case – specifically within eCommerce. If I was to pick one thing to take away from all that they said, it would be that quality of work is key to growing and is a great form of marketing, we should always be trying to overdeliver on what our clients are expecting, whatever their budget. This was my first WordCamp and I really enjoyed it! I think my favourite talk was by Petya Raykovska on the REST API. 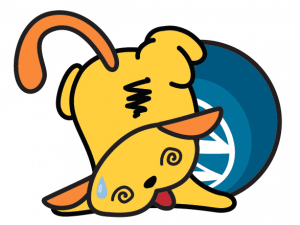 One of the many fantastic Wapuu images featured in the talk. Aside from the wonderfully different Wapuu slides, especially the poor, overworked and about to burn out Wapuu, she was informative about what the REST API is and how it works. Even though it was a talk geared towards non-developers, it gave a great overview of what it is, and more importantly how it can be used and what it means for the future of WordPress. It was interesting to think about how its implementation will effect website owners and how they will manage and maintain their website. Read Petya’s full guide here. This year was my second WordCamp, so I had a good idea of what to expect and was really looking forward to quite a few talks. As it turned out, I spent most of my weekend sat in Track C. Of all the talks I heard there, one definitely stuck out to me. Tim ‘Works for a hosting Company’ Nash delivered a brilliant talk about site security and how to deal with a hacked site. I’m fairly certain almost everybody learnt just how unprepared we all were to deal with a large-scale hacking attack and that most of us put too much trust in hosting companies to take routine backups for us. I definitely learnt a lot over the whole weekend but Tim’s mixture of humour and scaremongering stuck with me and has already had me beavering away this morning to make a few changes to our processes. We don’t think Tim’s put his slides up online – if we’re wrong please tell us! After a great weekend of awesome speakers (and delicious food of course) I’m finding it difficult to narrow down my highlights to a single speaker – I’m going to be indecisive and talk about two instead, one from Saturday and one from Sunday! There’s a specific reason for this though, and that’s because my absolute favourite session of the weekend had little to do with my job, it was just truly inspirational. 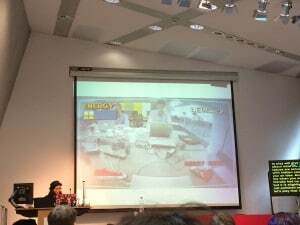 That was, of course, the discussion of neurodiversity and ‘The Myth of a Normal Brain’ with Leena Haque. The insight Leena, as a person with an autism spectrum condition, gave into how she experiences the world was just brilliant. 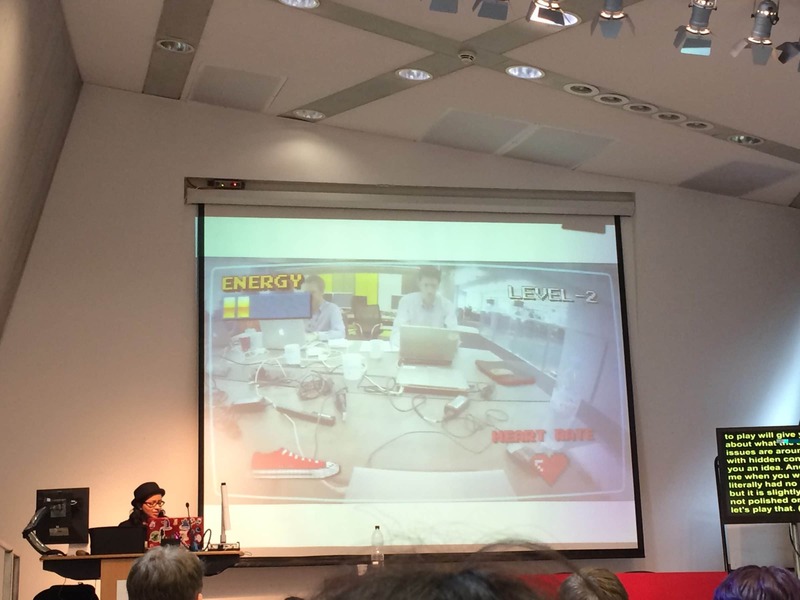 In particular her video walking us through a morning at work for her at the BBC – it was both hilarious and humbling. It really made me think about the barriers within the workplace, and particularly in the recruitment process, for people who experience the world differently from me. I love that it left me with more questions than answers – it really made me think about how we, as a company, should position ourselves to support neurodiversity as we grow. We don’t think Leena’s super awesome .gifs are online yet – if we’re wrong please tell us! My second highlight was more work-based for me in the traditional sense in that it’s something I can see myself thinking about every day at work. Ross Wintle‘s session ‘User Experience: It’s for Everyone’ was a great discussion about the importance of, the difficulties in achieving, and the wide range of roles involved in a great user experience. Ross’ mantra that user experience is important, is for everyone and is hard really got me thinking about the fact that great UX is not just about designing a great UI (user interface). He reminded me that I also have a big role to play in user experience despite not being either a designer or a developer – I’ll definitely be asking more questions, thinking more carefully and reading Joel Marsh’s UX for Beginners. Ross says his slides will be available online soon – we’ll update when they are! We can’t wait for WordCamp Europe in June!